In 2017, low-cost Irish airline Ryanair, which launched in July of 1985 with daily flights from Waterford to London Gatwick, became the first European airline to have carried 1 billion customers. 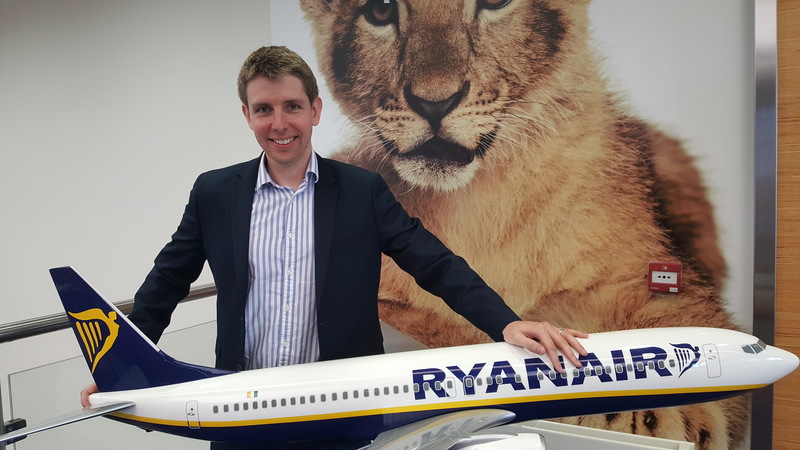 “It was a decision taken in response to the Open Skies Agreement, which has really liberalized the market and allowed an opportunity for Ryanair to connect European cities to Eilat,” says Director of Route Development at Ryanair Neal McMahon. In 2017, low-cost Irish airline Ryanair, which launched in July of 1985 with daily flights from Waterford to London Gatwick, became the first European airline to have carried 1 billion customers. It entered the Israeli market in 2015, initially offering three routes from Budapest, Kaunas and Krakow to Eilat to provide an alternative European sun destination. This year, Ryanair’s winter schedule offers 22 routes into Israel, including eight new offerings to Tel Aviv and ten new routes to Eilat. The airline has a current network of 85 bases and flies from 200 airports, with a 240-seat Boeing 737 on order to facilitate further routes in Europe, Israel and North Africa. “We’re always interested in new routes, but any deal is dependent on an attractive pricing policy and fruitful cooperation with the partnering airports. Once an attractive airport deal is attained, Ryanair’s low fares facilitate the demand even if a destination is not well established,” says McMahon. Low-cost carriers are one of a few factors to drive the increase of international passengers arriving at Ovda Airport (turn to page 10 for figures).